Home-Based Services provide eligible individuals and families with services and supports in the comfort and familiarity of their home and community. Clearbrook’s Home-Based Services program offers a variety of services to eligible individuals in McHenry County. Support services include but are not limited to educational, transitional, in home staff, clinical and supportive housing. 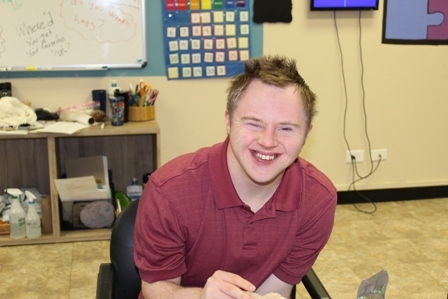 Community Employment Services provide opportunities for clients to learn valuable skills and the professionalism that translates into real world behaviors and work ethics. Job coaches are able to evaluate habits and work-place readiness in a variety of fields and in multiple locations throughout the county. In early 2019, Clearbrook opened a new vocational training storefront in Crystal Lake. Naturally Gifted features essential beauty products produced and sold by clients. Participants learn vocational skills including retail sales and customer service. Clearbrook offers Residential Services in 56 locations that range from one-person homes to an 80+ bed facility with round-the-clock nursing care. These are not only living arrangements, but homes where services and supports are matched to the residents based upon their choices and individual needs. 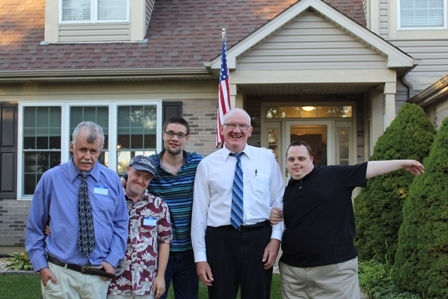 Clearbrook opened its first CILA (Community Integrated Living Arrangement) home in Crystal Lake in spring 2018. This is home to six men. A second home in Crystal Lake opened in January 2019 and is home to six women. Clearbrook plans to open additional homes in the near future. Clearbrook and Options & Advocacy are proud to offer an opportunity for caregivers to enjoy a regularly scheduled break. Once a month for three hours, their child with developmental delays (birth to age 5) will have the opportunity to play, socialize, and create crafts in a supervised setting. Siblings are also invited to stay and play. Clearbrook is always looking for new partners in the community. There are many volunteer opportunities waiting for you, events for you to attend, community connections to make, and much more. Please contact us to learn more.